It's natural to expect that an attractive website will draw visitors in, and to a certain extent, it will. The issue today, however, is that while most people, including your customers, are attracted to an artistically pleasing site, they are primarily looking for something that the site might have to offer. This is what makes content equally, if not more important than design. But It Still Needs To Be Attractive! You have 10 seconds or less to make a good first impression, after that, most new visitors to your site will move on the next one. Making your site enticing is the first step to pulling visitors in, but it is content and clarity that will keep them there. Easily discoverable business purpose - what do you do? Traditional website redesign follows the path of uprooting and rebuilding everything in your site once every 1.5 to 2 years. The problem with this is that the process is very painful, expensive and the timeline to obsolescene is short. Growth Driven Design is a new approach to website management that makes changes in smaller steps that allow incremental performance evaluation so that you are able to make good decisions about what your next small steps will be. 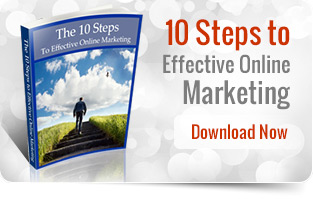 Keeping up with marketing trends is easy with this new method and we can help you do it. For more information, check out the free EBook offer on this page.